The Bronx Documentary Center welcomes Stephen Ferry for the launch of the English version of his newest book, La Batea: Impressions of Gold in Colombia. Ferry made La Batea in collaboration with his sister, the cultural anthropologist Elizabeth Ferry. 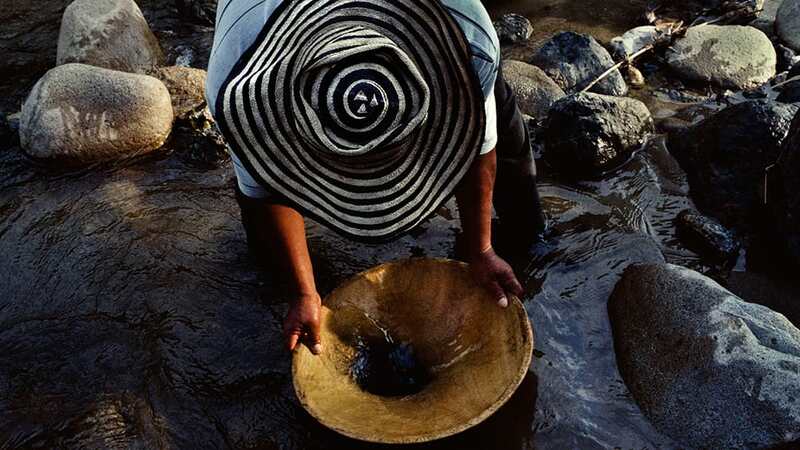 The book is a carefully intimate look into the lives of artisanal gold miners, their craft, and their struggles with multinational mining companies and armed groups in Colombia. La Batea: Impressions of Gold in Colombia is published by Red Hook Editions. Since the late 1980’s, STEPHEN FERRY has worked as an international photojournalist. His photographic work has been featured in publications such as The New York Times, National Geographic, The New Yorker, and GEO to name a few. Ferry has traveled to dozens of countries documenting issues of human rights, social and political conflict, and environmental conservation. He has produced three books: I Am Rich Potosí: The Mountain that Eats Men, Violentology: A Manual of the Colombian Conflict and La Batea: Impressions of Gold in Colombia.